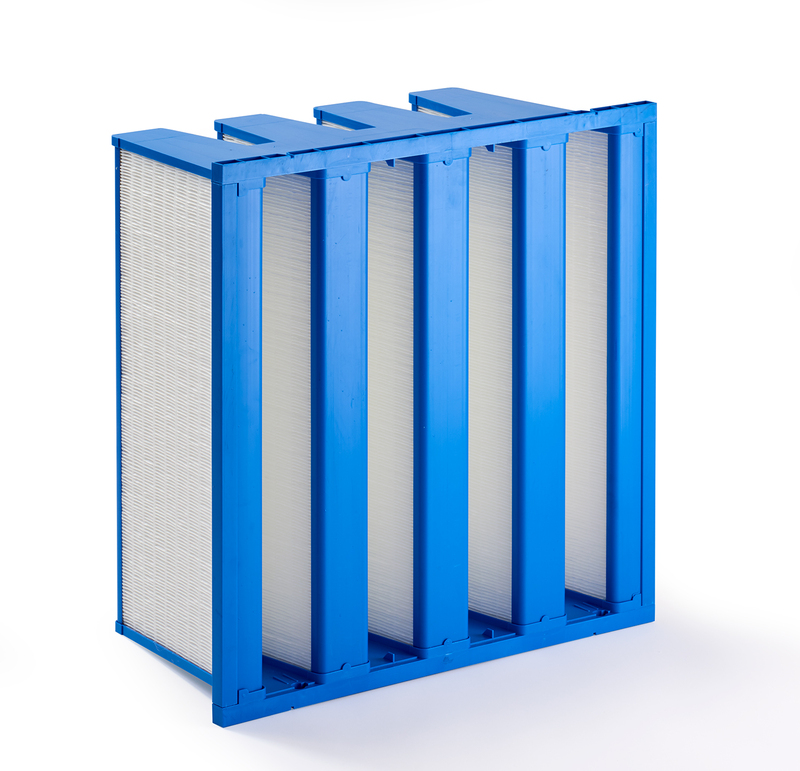 MFP compact rigid bag filters provide up to 18m2 surface area using the latest mini-pleat technology. They are designed to provide high efficiency filtration in air conditioning systems where space is limited and high air volume is required. The pleated filter packs are produced from high efficiency, water-repellent glassfibre paper, finely pleated and precisely spaced to maximise surface area. The packs are assembled in a V-formation and sealed in a rigid supporting frame capable of withstanding high air turbulence and vibration allowing for extended service life and equally effective in high humidity conditions.